“We know MR BLACK isn’t for everyone, it’s not some cloying sickly sweet kiddie drink. It’s a rich, cold drip coffee liqueur for those who appreciate good coffee so our packing needed to speak to that. 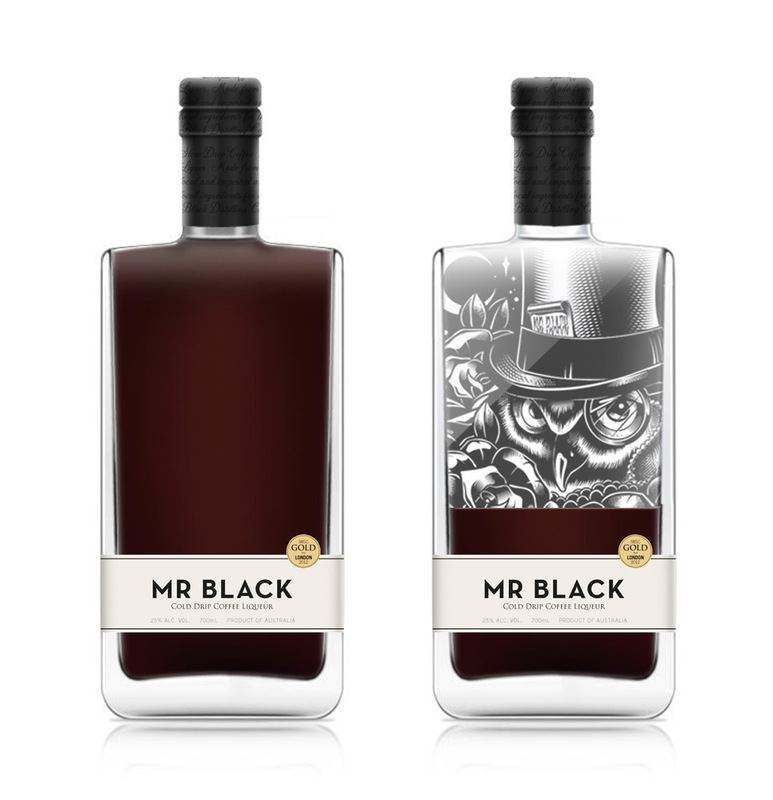 At MR BLACK we’re lovers of creative culture, so we knew we had to get a local artist in to help complete the product. At the same time, we didn’t want it to be an overpowering element of the design or to draw attention from the liquid inside. Not sure if i’d like it but The designs are very effective on the eye. Keep up the good work. Fantastic and eye-catching design. Thanks for sharing. I love design that encourages action. The thought of how quickly I would drink it to see the design, I bet they found repeat purchase went up.